This is a great Colorado elk hunt at a reasonable price! There are TONS of choices when you hunt elk in Colorado with this outfitter! This is a great Colorado elk hunt at a reasonable price! 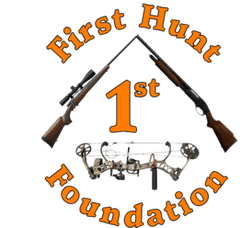 This outfitter offers this over-the-counter rifle elk hunts, archery elk hunts, elk hunting on private land, and limited entry trophy elk hunts in Colorado. Success rates and trophy quality are both very good for over-the-counter elk hunting units. You get the best of both worlds when it comes to the units they hunt. Limited license areas that you can draw for, which hold more game and some bigger bulls. But if you don’t draw, they also have open units, which means you can buy your license over the counter. These units usually have more hunting pressure, but there are more areas to hunt and still a large number of elk. They don’t guarantee 6-point bulls like some of the private land hunts can. Expect to hunt hard for “real elk.” Their success rate hovers around 50%, but their opportunity rate is 80%. Not bad for an over-the-counter elk tag. We personally hunted with this outfitter, and he and his crew are some of the hardest working guys in the business. If you’re a serious hunter, then you will appreciate this hunt. Their hunts are physically demanding, so be prepared. Both rifle and archery tags are available, and this can also be a combo hunt for mule deer.